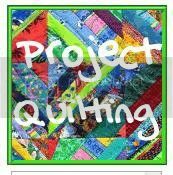 I intended to show you my progress on these quilts every week on Monday, but I’m sure you’ve noticed they are happening a bit more sporadically than that. I have decided that it’s better to post when there’s actually some progress to post about than to show nothing. I think I have made some decent progress since the last post so I hope you enjoy…. 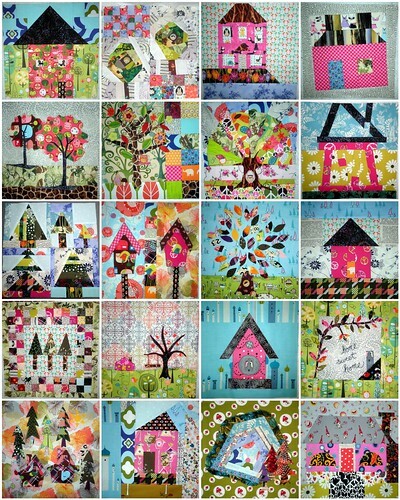 I have two of every block made for the Blogger’s BOM including the newest one. 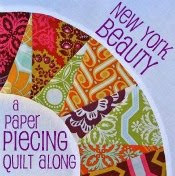 I’m still moving a bit slower on the New York Beauty Quilt Along but did manage to make two more since the last post. I think these are really going to add some jazz to this piece – and I can’t believe I’m actually making them – I never saw myself doing this ever! 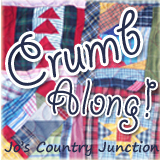 I have found another Quilt Along to add into this quilt – the Crumb Along. 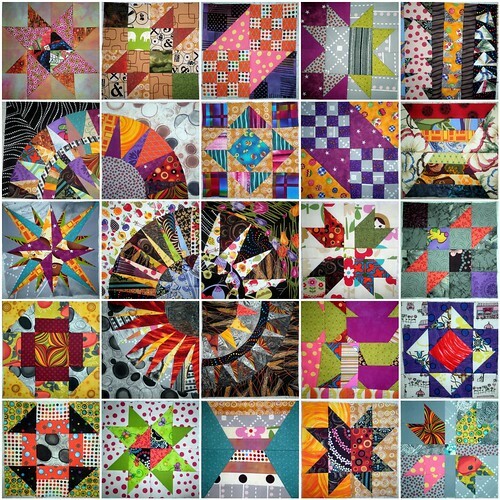 I am slightly tweaking things from it to fit with what I’m doing (ie – I’m just making two blocks of each design she shows) but I think they’re going to add another great dimension to this quilt! 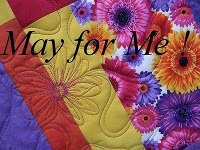 So far I have 25 8-inch blocks made and I am LOVING this quilt! 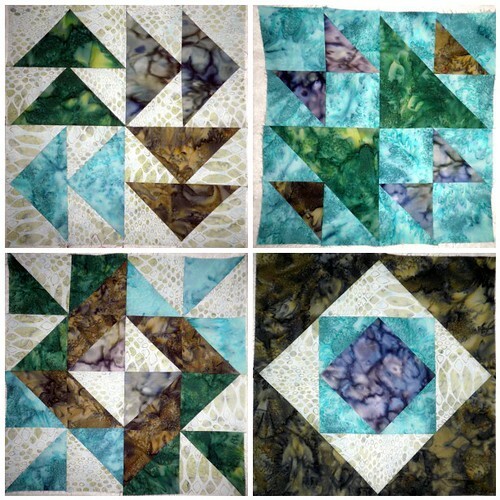 I made the two Wonky Log Cabin Blocks for May today. They were fun. The second one was a bit tedious but I do like how it sort of looks like a flower. There are TWENTY Block tutorials up now! 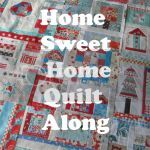 Which means – you can finish your quilt (if you wanted 20 blocks – if you were okay with less you should be fine already :) I have all of mine made AND I have my quilt top pieced. I could have revealed it to you now but I’m going to wait a blog post or two before I do just to keep you excited. I did make a different sashing/border strip for every side of the block. 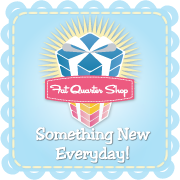 I cheated slightly on the cornerstones but trust me – it looks AMAZING! Stay tuned for more sashing tutorials as well! 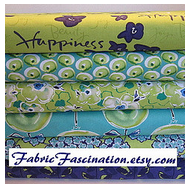 I love love love your color choices! Do you always do print on print?